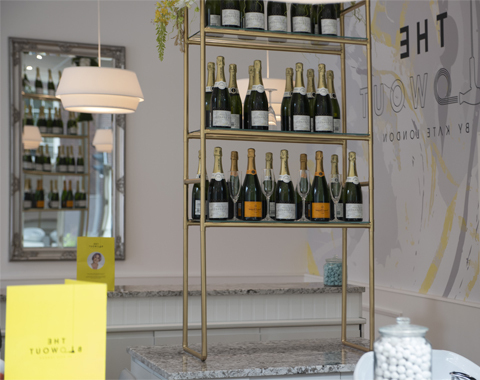 The highly anticipated blowdry bar, located on the ground floor of No.1 Spinningfields off Quay Street, transforms the typical hair styling experience, where women may enjoy a gorgeous blowdry whilst relaxing with a glass of fizz, without the presence of traditional salon chair mirrors. Instead a greater emphasis is placed on a ‘Big Reveal’ at the end of the luxury hair styling experience. Customers can pre-book appointments by calling 0161 222 9212 or book in with a front-of-house assistant in-store. Prices are £35 for lookbook styles and include a complimentary glass of fizz. In addition, a professional make-up artist is available to book on Fridays and Saturdays. Serious blowout addicts can buy a bar tab for a monthly £100 fee, which saves on styling and products.